Watch a video on your specific application here. 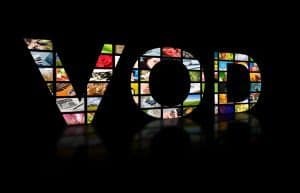 What is IPTV & Video Networking? 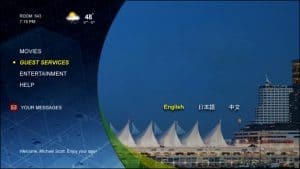 Internet Protocol television (IPTV) is a head end system through which television services are delivered using the Internet protocol suite over a packet-switched enterprise network, instead of being delivered through traditional RF coax. 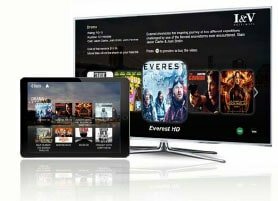 IPTV is very cost-effective, flexible, and highly interactive. Services may be classified into the three of following groups. VidOvation TV provides an Enterprise IPTV and Digital Signage Systems that delivers a flexible and scalable distribution of live television, video on demand and digital signage over your enterprise, corporate, or facility network. 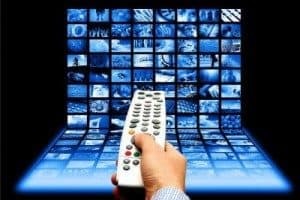 We are capable of streaming to computer desktops, smartphones, tablets, displays, Smart TVs, and set-top boxes. 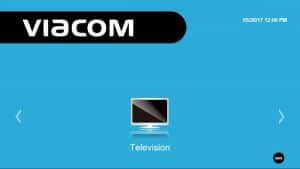 VidOvation TV is a turnkey flexible and scalable Enterprise IPTV solution that empowers organizations to incorporate live TV programs, live internal video broadcast, video-on-demand, digital signage, advertising, emergency alerts to increase the efficiency of training, communications and safety. 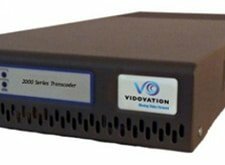 VidOvation TV delivers digital television programming to employee’s PC’s, TV’s, Smartphones and Tablets, allows scheduled recording via program guide on PC’s, and provides such recorded content for on-demand time-shift viewing. The system supports Live TV content from DirecTV, Dish Networks, Satellite, Cable and more. VidOvation TV allows businesses or facilities to have their internal TV channels to communicate, train and guide employees, including appropriate instructions during critical emergency situations. We ensure powerful and easy-to-use functions, high-quality video, reliable and well-managed operations, and unparalleled scalability and extensibility. 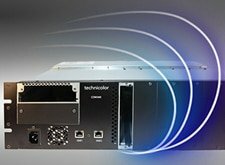 The VidOvation Enterprise IPTV system fully integrates with the DirecTV COM2000 Satellite for Enterprise, the Dish Network SmartBox, Cable Television and more. 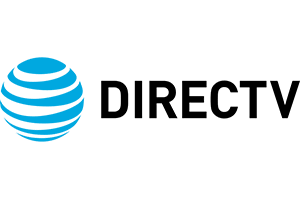 Providers supported by VidOvation TV – DirecTV, Dish Network, Cox Cable, Time Warner Cable, Comcast, AT&T U-Verse, Cablevision, Charter Communications, Metrocast, US Cable, CenturyLink, Suddenlink, Verizon FiOS and just about anyone else. VidOvation SuiteTV is a turnkey Hospitality IPTV solution that empowers hoteliers to deliver High Definition TV programming, barker channels, and VOD services to their guests. SuiteTV also enables hoteliers to establish customized, attractive high-resolution hotel service portals to effectively interact with their guests to service all their needs while increasing the hotel’s revenue and branding. 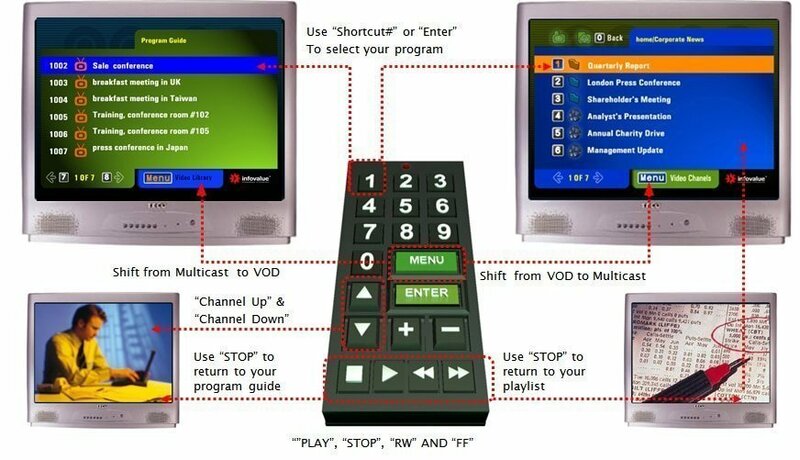 SuiteTV delivers digital TV programming with an Interactive Program Guide (IPG), and enables Time-Shift TV (TSTV) channels and Network Personal Video Recording (nPVR) to increase personalized time-shift viewing flexibility. SuiteTV allows guests to watch VOD from a broad selection of first-run Hollywood movies, independent films and alternative content at their convenience. Guests can enjoy live TV and VOD content from their in-room TV or from their mobile device anywhere on the property. SuiteTV represents the easiest, fastest leap forward in delivering compelling services that generate new revenues and increase occupancy rates while simultaneously reducing operational expenses. SuiteTV interfaces with hotel Property Management systems (PMS) and guest relations management systems to interactively provide personalized information and services to guests. 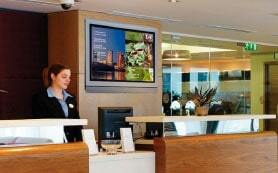 SuiteTV has integrated Digital Signage and mobile device support to assist hoteliers to effectively communicate with their guests. 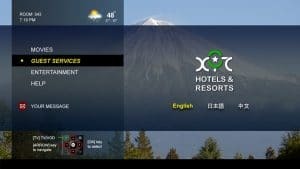 Guests can now view their personal device media content on the in-room TV via utilizing casting features and OTT applications. In addition to increasing guest loyalty, hoteliers can directly deliver targeted marketing, ads, and promotions. SuiteTV works seamlessly with the industry-leading InfoValue IPTV platform to ensure 24x7 reliability, comprehensive manageability, and unlimited scalability and extensibility for future expansions. 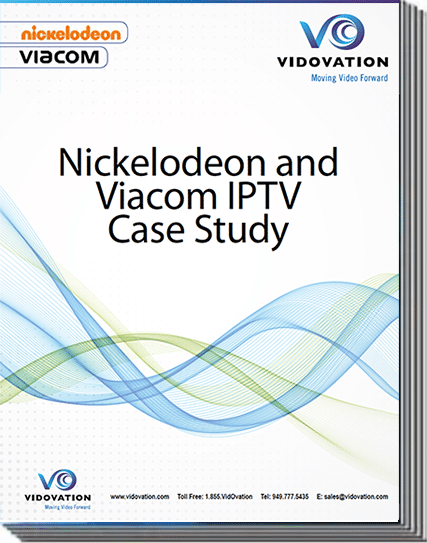 IPTV Headend & Video Networking Webinars WATCH Now!! !